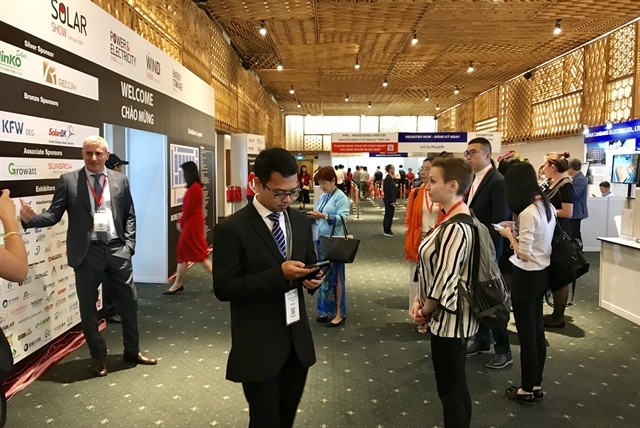 HCM CITY — Hundreds of policymakers, regulators, investors and financiers are attending the two-day Solar Show Việt Nam 2019, Power & Electricity Show Việt Nam, Energy Storage Show Việt Nam, and Wind Show Việt Nam, which opened yesterday in HCM City. The trade shows have also attracted power producers, project developers, renewable energy vendors, and business owners and land developers. The Solar Show Việt Nam this year aims to help drive the country’s renewable energy agenda forward, Roessen said. Prominent speakers and guests include senior representatives from the government and local utility Electricity of Việt Nam (EVN). Nguyễn Tâm Tiến, CEO of Trung Nam Group, said with some 100GW of additional capacity forecast by 2030, and a ten-fold increase in renewable energy generation, Việt Nam is interested in the future of its energy sector. Solar power is poised to be a key part of it. The exhibition and conference will drive interest in the growing renewable energy industry in Việt Nam. It also seeks to raise awareness about the variety of renewable energy solutions available for all sectors – power plants and utilities, factories and manufacturing plants, large-scale buildings, and investment and development. More than 3,000 industry attendees are expected to visit the show. Major topics at the conference include diversifying Việt Nam’s energy future and innovative renewable energy financing trends, among others. 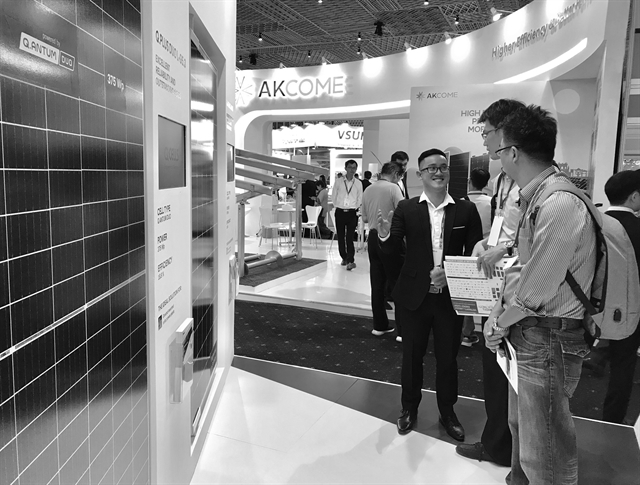 In addition to the main conference, exhibitors will showcase the latest in energy technologies, ranging from home solar rooftop systems, energy storage solutions, inverters and lighting solutions to hybrid and intelligent systems and more. As many as 120 exhibitors from Việt Nam, Asia Pacific and beyond are taking part. In June, solar power investors will be granted land use fees and duty and tax exemptions, and will be able to mobilise both domestic and foreign capital.